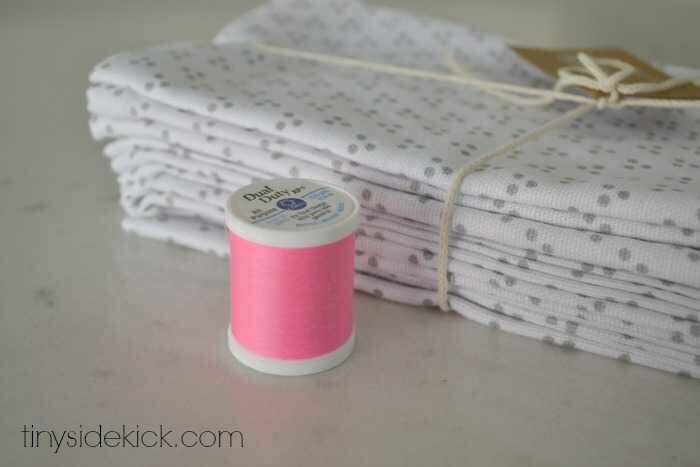 Inside: Take some store bought cloth napkins and make them pop with a fun stitched edge! 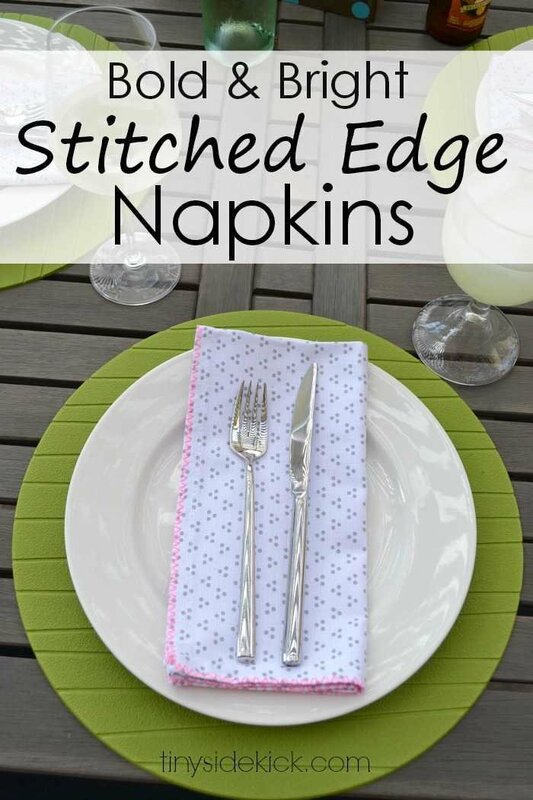 Easy instructions to make your own stitched edge napkins. Clearly I have a bit of an obsession with neon thread lately. What can I say, I just love to take something hum-drum and make it pop with just a bit of fun color in an unexpected way. 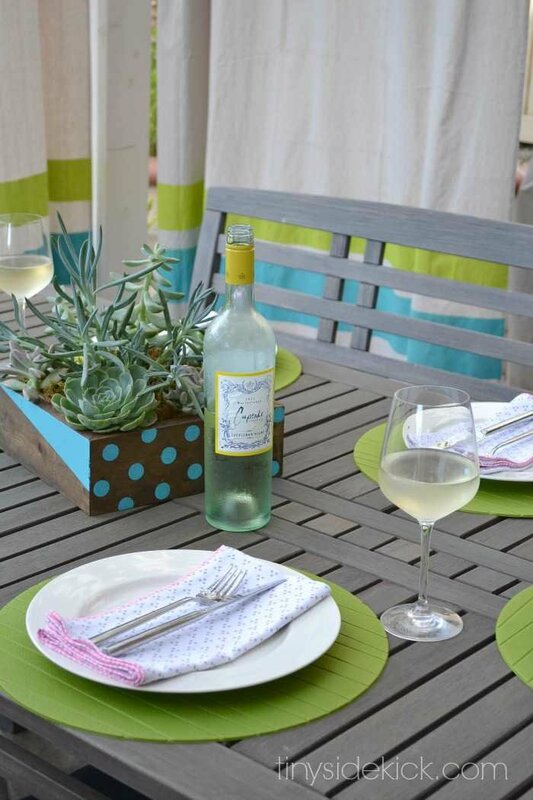 I originally shared a sneak peek of these when I revealed my outdoor living room makeover, but never shared the easy details for these stitched edge napkins with you, so here goes! It’s probably best to stick to a pattern on your cloth napkins that is pretty subtle or even a solid color so that your stitched edge really pops. I found this pack of grey and white cloth napkins at HomeGoods for about 6 bucks. They will go perfectly with any table setting, especially in spring and summer. Then I picked up a spool of bright neon pink thread. Then I simply ran the edges of each napkin through my sewing machine with a zig zag stitch. You will want your needle to go through the fabric on one side and land just off of the fabric on the other side to get the stitching right on the edge of the fabric. 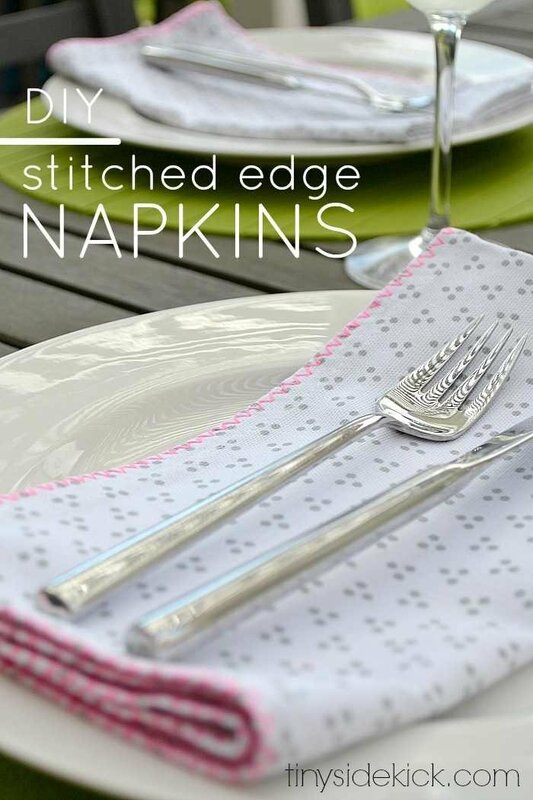 We eat dinner out here in our outdoor dining room most nights in the summer and I love the fun pop of pink that the stitched edge napkins add to my table. These are going to be a perfect addition to my summer entertaining essentials. Here’s to warm weather and sunshine this summer! 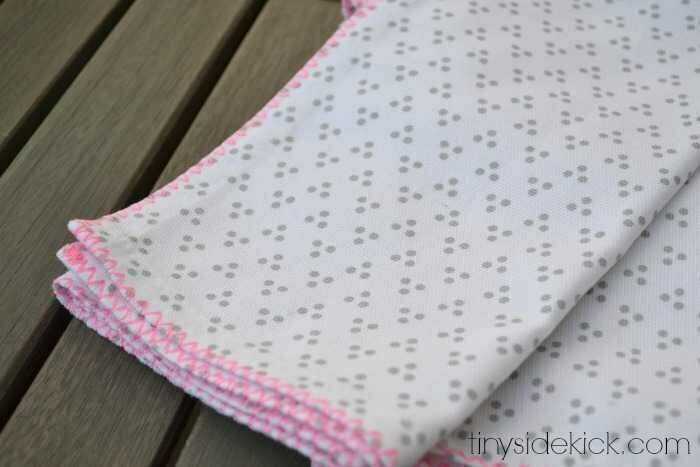 Corey, I am a cloth napkin gal too and love the little pop of pink on these cuties. Thanks for the zig zag tip. You’re so welcome, Lynn. Glad you enjoyed! Hi I love your tutorials they as really easy to follow. Corey, these are just to-die-for sweet! I am in love with them! I would be thrilled if you would stop by my blog and join our link party Something to Talk About! It’s been so long since I’ve sewn anything that I’m not sure I can still stitch a straight line. Actually, right now I can’t sew any kind of a line; I gave my machine to a friend but I’ve been thinking of buying another sewing machine for doing such things as you’ve done here – and they look very nice. Love this idea, Corey! So cute!